“Strong Economic Medicine” and Regime Change at the IMF: Does the Name “Strauss-Kahn” Ring a Bell? There it is, six years of policy in one lousy picture. 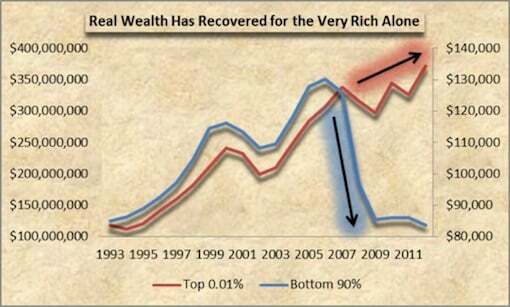 And don’t kid yourself, the IMF played a critical role in this wealth-shifting fiasco. It’s job was to push for less public spending and deeper fiscal cuts while the Central Banks flooded the financial markets with liquidity (QE). The results are obvious, in fact, one of the Fed’s own officials, Andrew Huszar, admitted that QE was a massive bailout for the rich. “I’ve come to recognize the program for what it really is,” said Huszar who actually worked on the program, “the greatest backdoor Wall Street bailout of all time.” There it is, straight from the horse’s mouth. So now the IMF wants to throw a little dust in everyone’s eyes by making it look like it was a big goof-up by well-meaning but misguided bankers. And the media is helping them by its omissions. Let me explain: Of the more than 455 articles on Google News covering the IMF’s mea culpa, not one piece refers to the man who was the IMF’s Managing Director at the time in question. Doesn’t that strike you as a bit odd? “The IMF’s managing director wanted to give Greece, Portugal and Ireland the time needed to put their accounts in order, and he also argued for softening the austerity measures associated with the bailouts for those countries. Strauss-Kahn’s view is that shock-therapy measures imposed on Greece and other European countries with sovereign debt crises will lead only to economic recession and severe social unrest. Several commentators pointed out Monday that at a time of turmoil in the eurozone and division among European leaders, it was the IMF, under Strauss-Kahn’s leadership, that kept the eurozone’s rescue strategy on track. 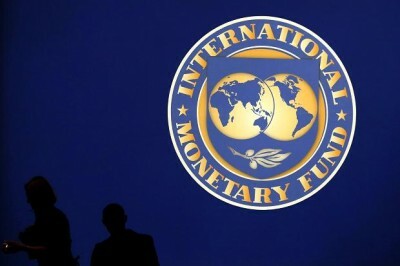 The Financial Times said that the IMF’s single most important influence in the resolution of the eurozone crisis was political — amid a lack of political leadership, the paper said, the IMF filled a vacuum. Ah-ha! 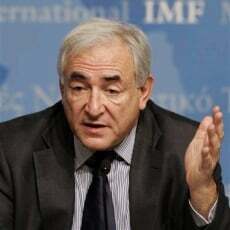 So Strauss-Kahn wasn’t on board with the IMF’s shock doctrine prescription. In fact, he was opposed to it. So there were voices for sanity within the IMF, they just didn’t prevail in the policy debate. But why would that be, after all, Strauss-Kahn was the IMF’s Managing Director, his views should have carried greater weight than anyone else’s, right? Right. Except DSK got the ax for a sexual encounter at New York’s ritzy Sofitel Hotel. So the changes he had in mind never took place, which means that the distribution of wealth continued to flow upwards just like the moneybags constituents of the IMF had hoped for. Funny how that works, isn’t it? Funny how it’s always the Elliot Spitzers, and the Scott Ritters, and the Dominique Strauss-Kahn’s who get nailed for their dalliances, but the big Wall Street guys never get caught. The fact is, Strauss-Kahn was off the reservation and no longer supported the policies that the establishment elites who run the IMF wanted to see implemented. They felt threatened by DSK’s Keynesian approach and wanted to get rid of him. That’s it in a nutshell. Do you know why the bigwig plutocrats hated DSK? It had nothing to do with his sexual acrobatics at the Sofitel Hotel. Nobody cares about that shite. What they were worried about were his plans for the IMF which he laid out in a speech he gave at the Brookings Institution in April 2011, one month before he got the boot. The speech got very little attention at the time, but– for all practical purposes– it was DSK’s swan song. And, I think you’ll see why. Can you imagine the chorus of groans that must have emerged from the crowd when Strauss-Kahn made his pitch for “progressive taxation”, “collective bargaining rights”, “protecting social safety nets”, “direct labor market policies” and “taxes on financial activities”? And how do you think the crowd reacted when he told them he’d settled on a more enlightened way to distribute the wealth they’d accumulated over a lifetime of insider trading, crooked backroom deals and shady business transactions? Do you think they liked that idea or do you suppose they lunged for their blood pressure medication before scuttling pell-mell towards the exits? Let’s face it; Strauss-Kahn was headed in a direction that wasn’t compatible with the interests of the cutthroats who run the IMF. That much is clear. Now whether these same guys concocted the goofy “honey trap” at the Sofitel Hotel, we may never know. But what we do know is this: If you’re Managing Director of the IMF, you’d better not use your power to champion “distribution” or collective bargaining rights or you’re wind up like Strauss-Kahn, dragged off to the hoosegow in manacles wondering where the hell you went wrong. DSK was probably done-in by the people who hated his guts. Now they want to polish-up their image by rewriting history. And, you know, they’re rich enough to pull it off, too.